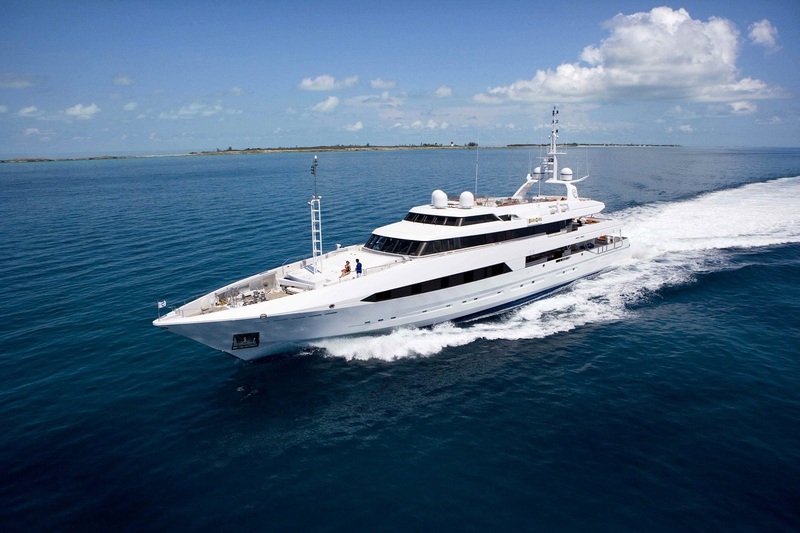 BAD GIRL (formerly CHAMAR) is a luxury yacht built by the respected builders Brooke Yachts UK, measuring 56.7m (186 feet) in length, and accommodating up to 12 guests in 6 beautiful staterooms. 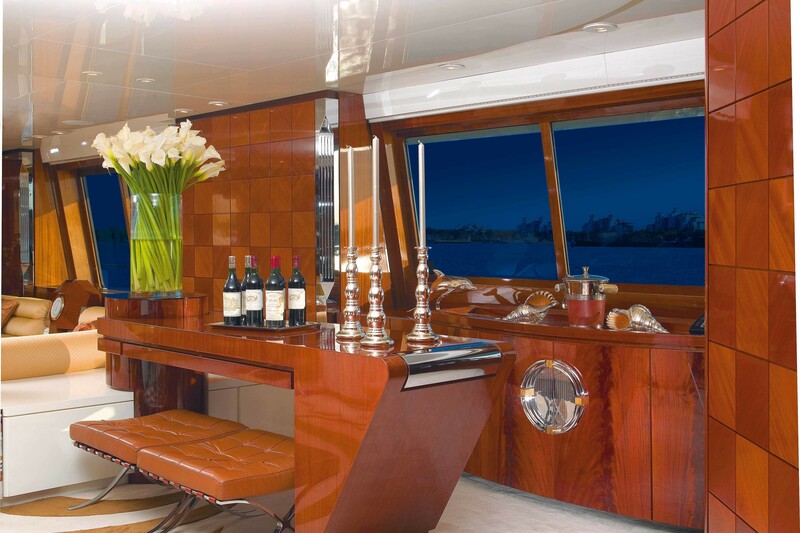 Her interior desigh is by Luigi Sturchio and her exterior design by Don Shead. 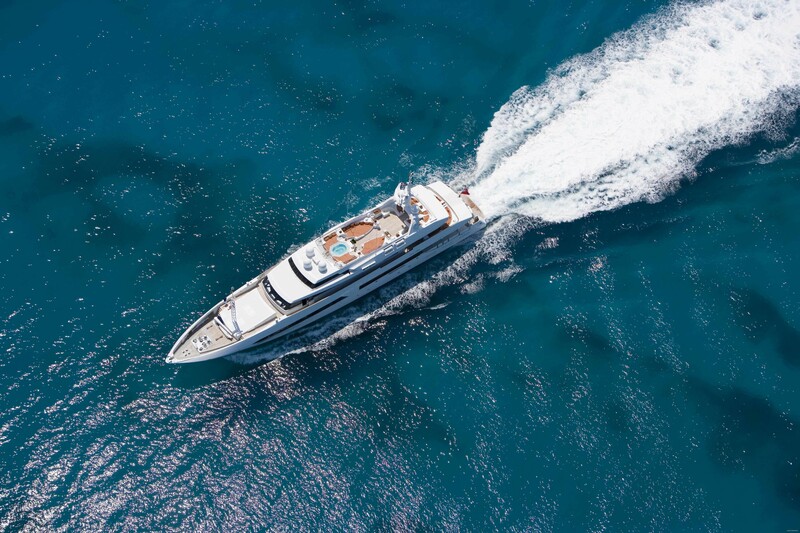 BAD GIRL’s distinctive design combines modern and classic elegance, with outstanding performance to ensure a truly extraordinary cruising experience. 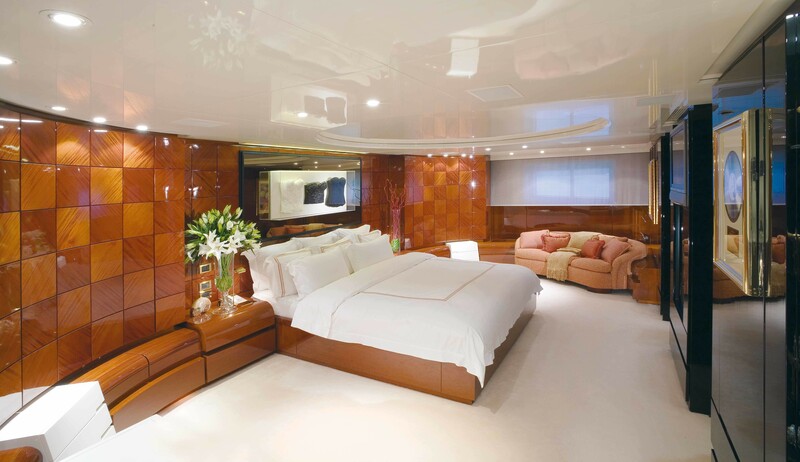 She has a nicely decorated interior, with cream carpets and beautiful high gloss mahogany cabinets and paneling throughout, with quality soft furnishings and interesting artwork. 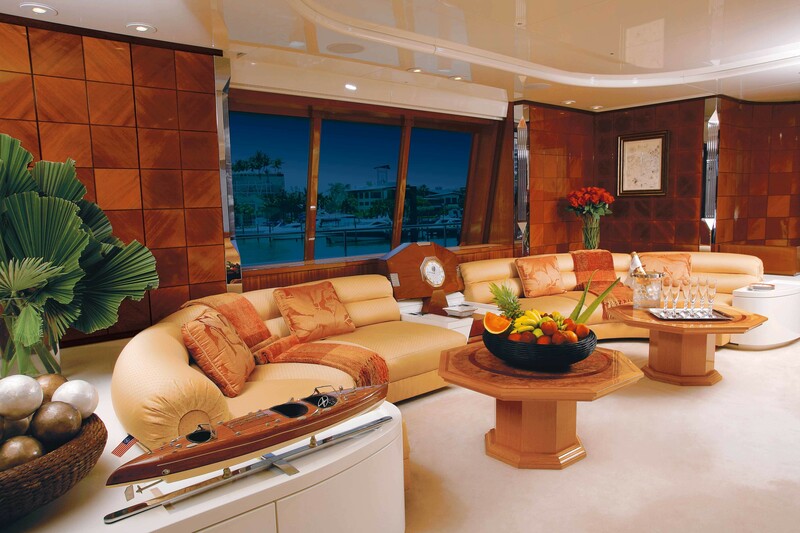 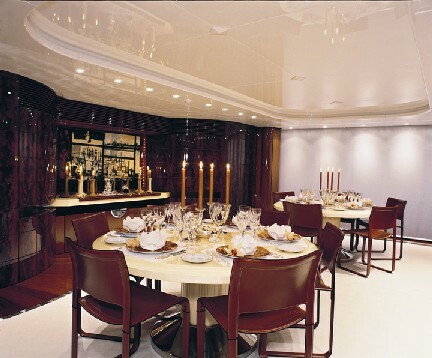 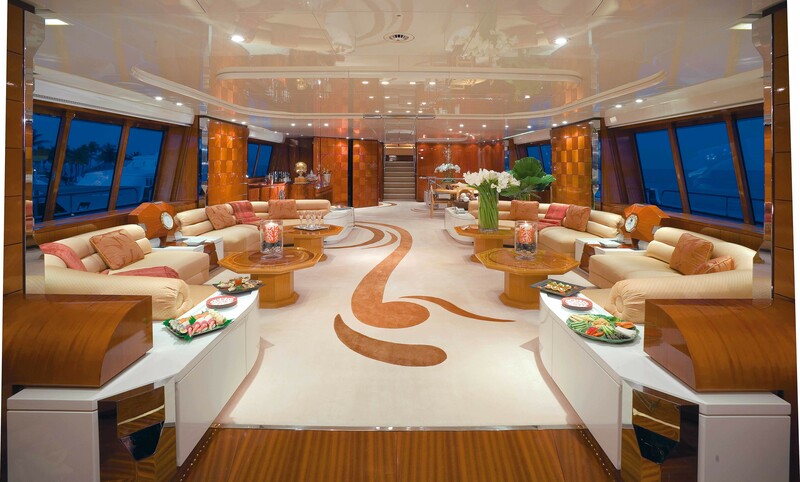 The main salon provides the yacht’s formal reception area with a bar and card table forward, balanced by four seating quadrants each focusing on a beautiful solid oak octagonal coffee table. 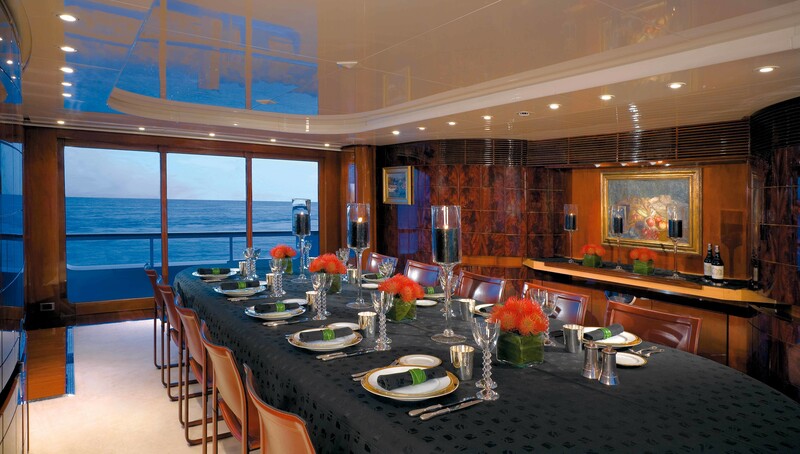 BAD GIRL also has an impressive dining room further forward, with tables that can extend to seat sixteen guests and stunning sea views from full length windows. 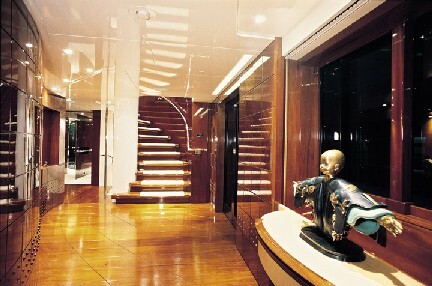 Forward and above the main salon, stairs rise to an observation lounge, which can be transformed into a cinema. 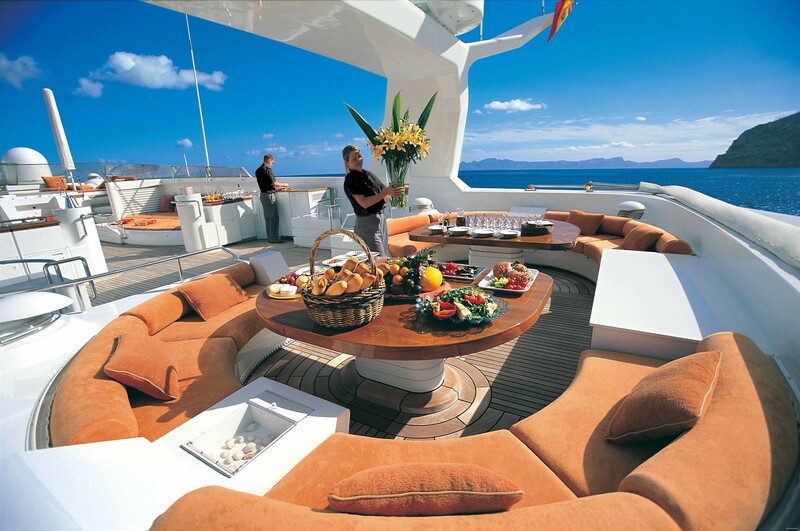 There are vast amounts of deck space, well laid out for a variety of outlooks on three levels. 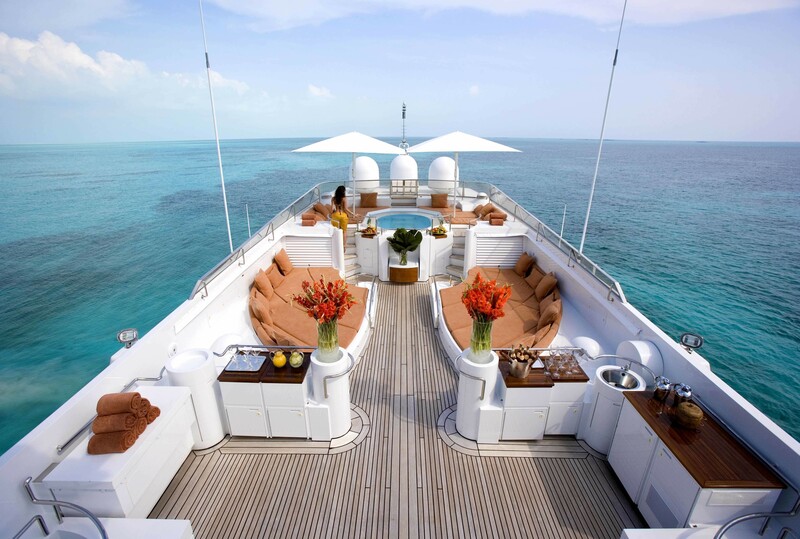 There is a nicely laid out area aft of the main for alfresco drinks and dining, while the upper deck is ideal for large-scale dining with 2 tables that can join together for grander entertaining. 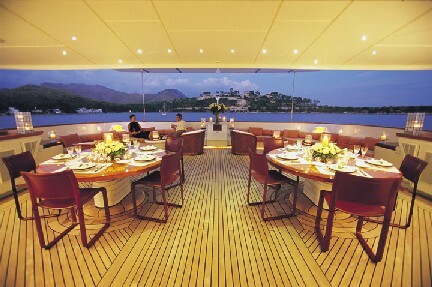 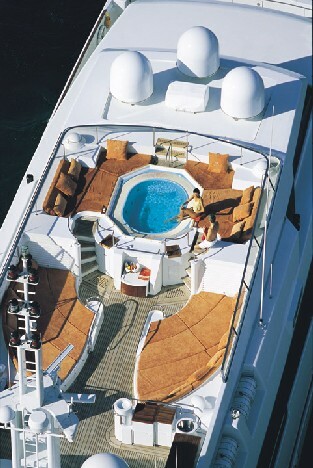 BAD GIRL has a further spacious sundeck, with two dining tables that can seat up to eighteen people, with an optional awning. 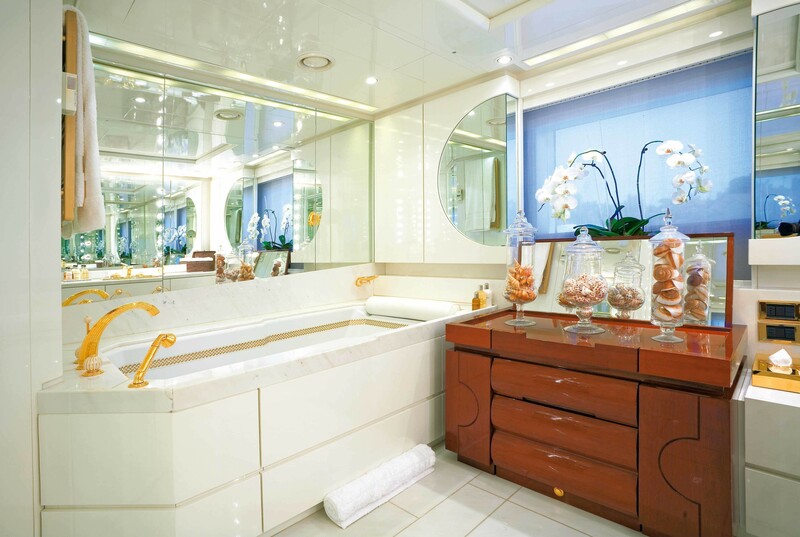 There is also a large Spa Pool pool with ample sun pads, a deck barbecue, fridges and an icemaker, so guests can enjoy the highest standards of service alfresco. 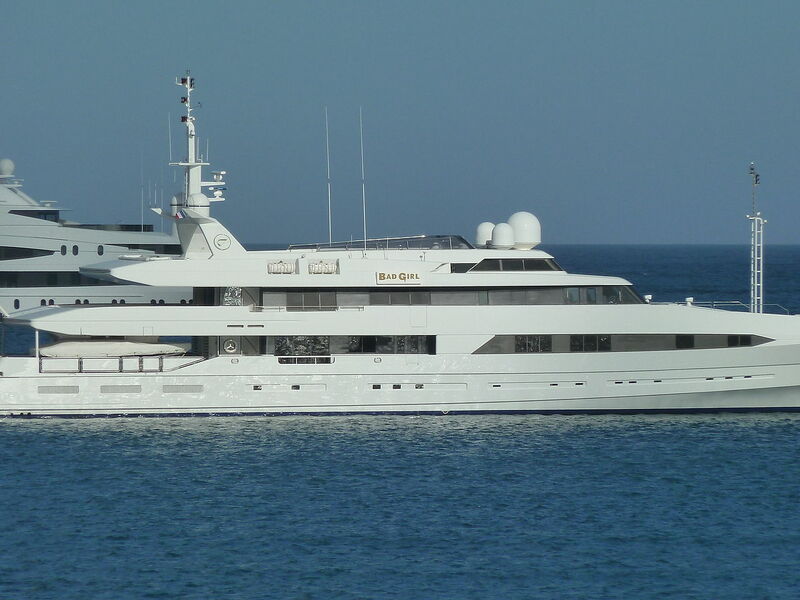 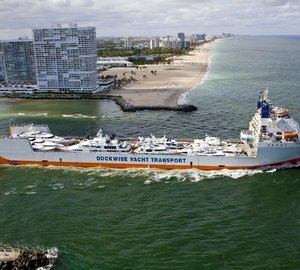 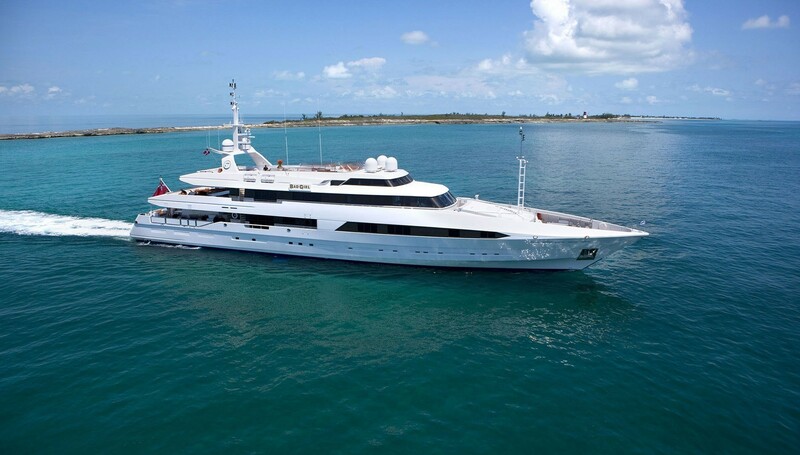 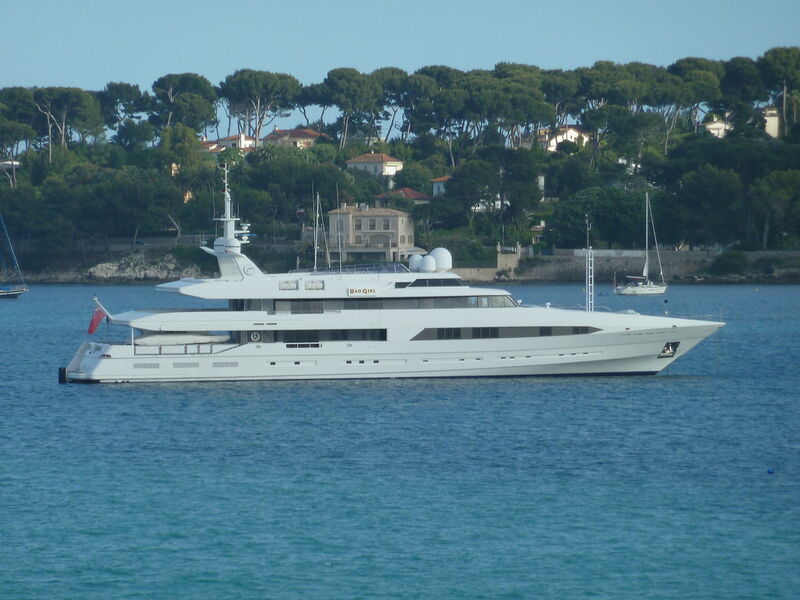 BAD GIRL measures 56.7m (186 feet) in length, with a beam of 9.7m (31.1 feet) and a draft of 2.2m (7.30 feet).She has 14 crew and cruises at an average speed of 18-20 knots. 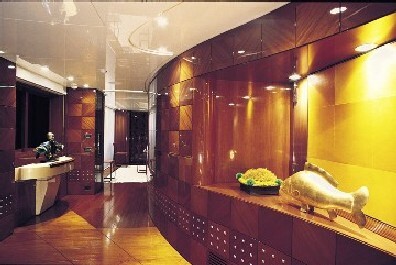 in 2007 the lower lounge/gym was changed into a guest cabin with en-suite shower. 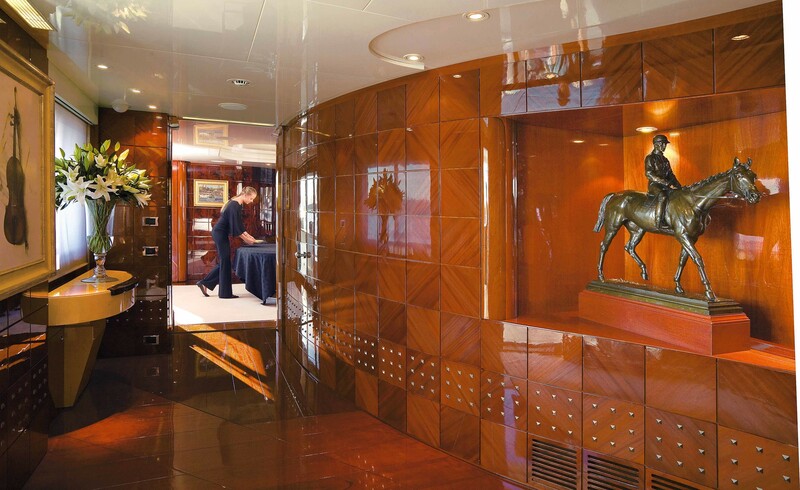 In addition to this there is another cabin on the main deck which was a dance studio is now a fully equipped gym and has an en suite shower. 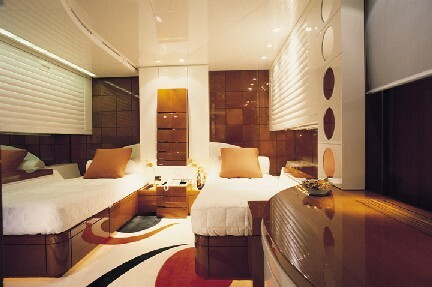 This space can also be converted to a yoga or massage room etc. 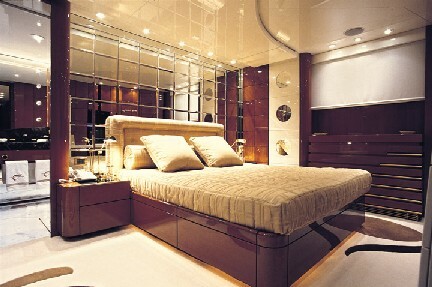 A single bed can be fitted in this space to accommodate a trainer. 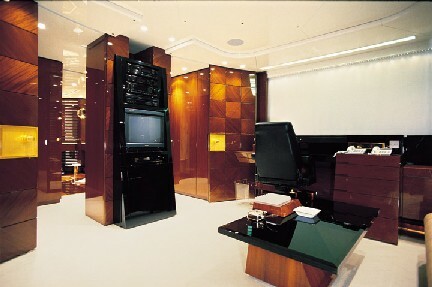 All new audio visual equipment was added in late 2006 (approx. 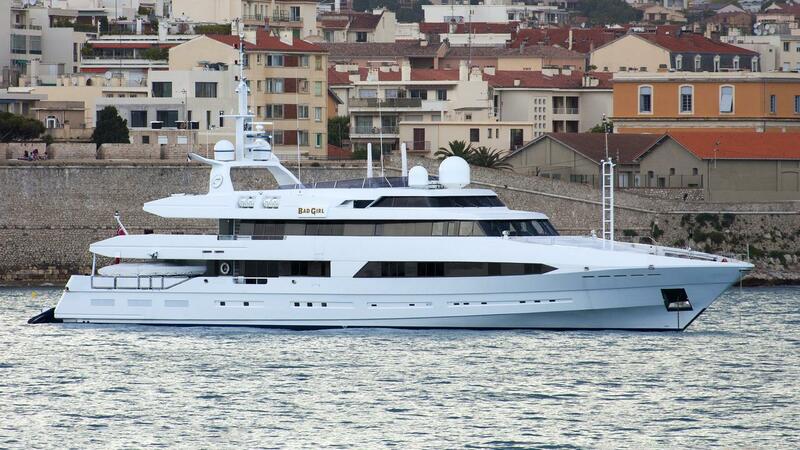 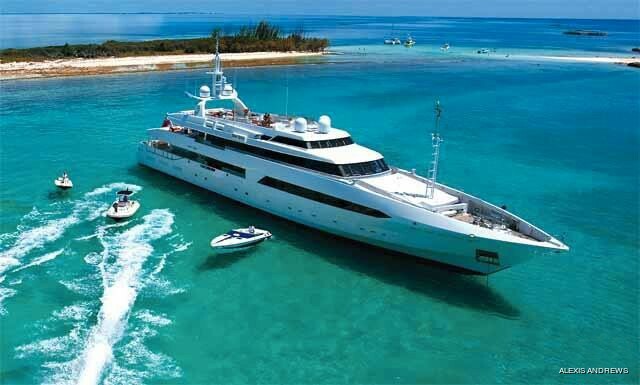 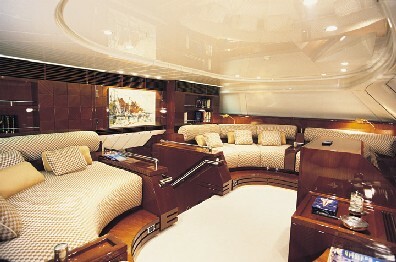 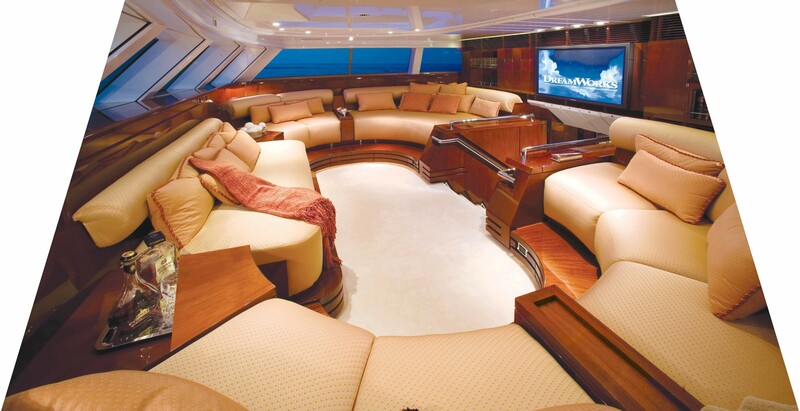 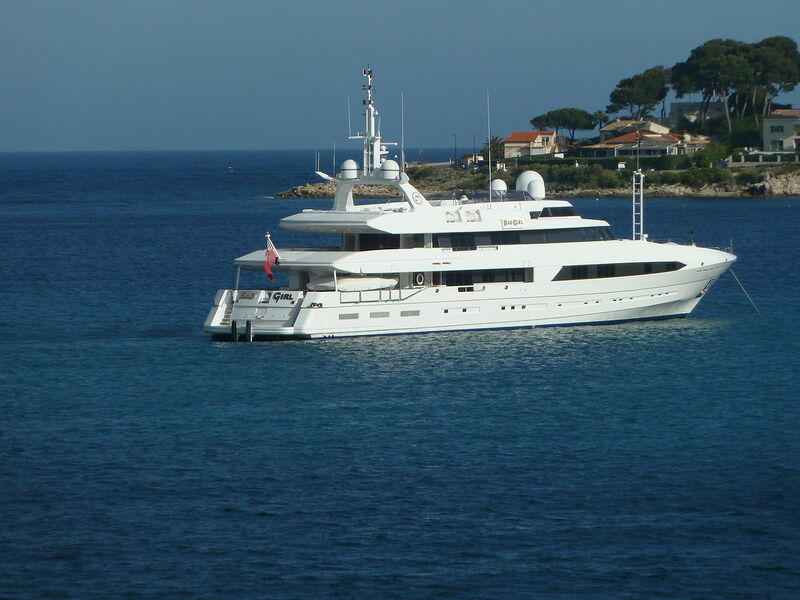 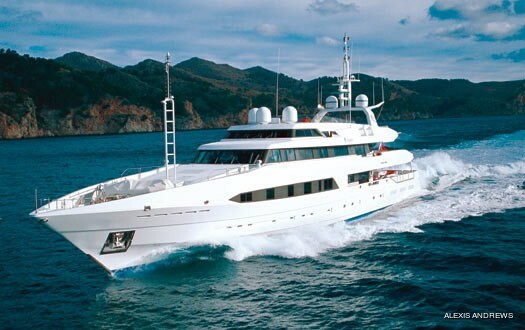 US$300,000) with a DVD server and new TVs and control systems throughout. 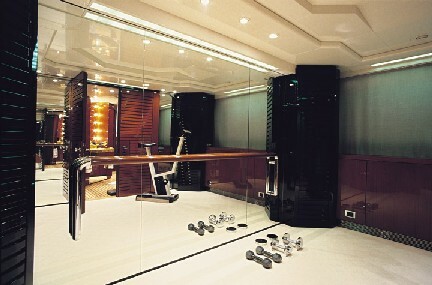 Master cabin with his and hers bathrooms and gym with sauna. 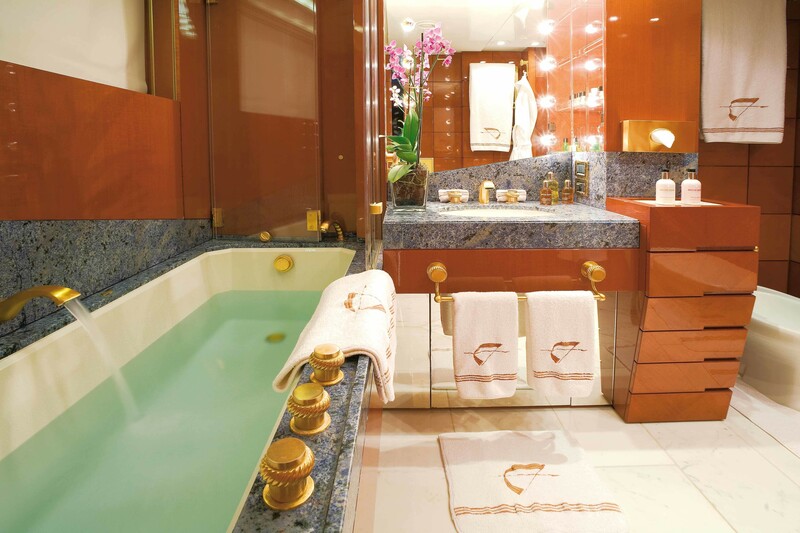 2 x VIP double cabins with en suite bathrooms 3 x twin cabins with en suite bathrooms and 2 pullman berths in each cabin 1 x small double cabin with shower en suite. 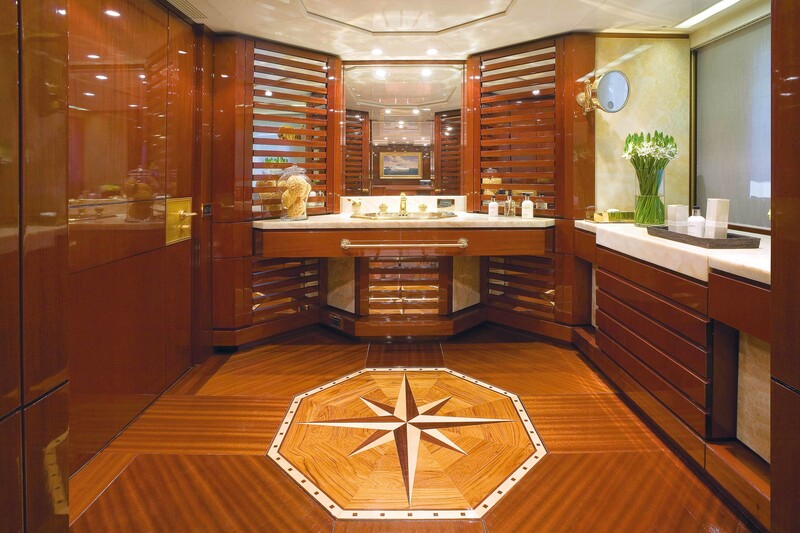 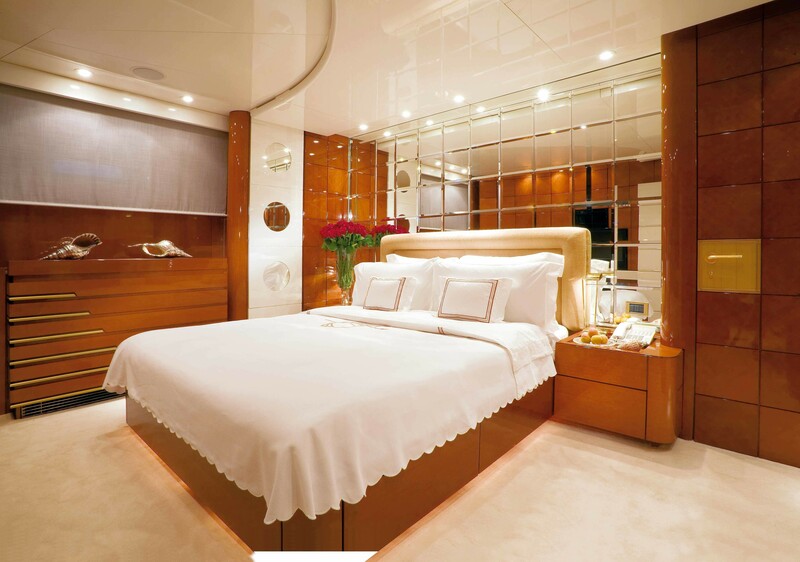 The master suite on the main deck has his and hers bathrooms, an owner’s study, and a gym and sauna. 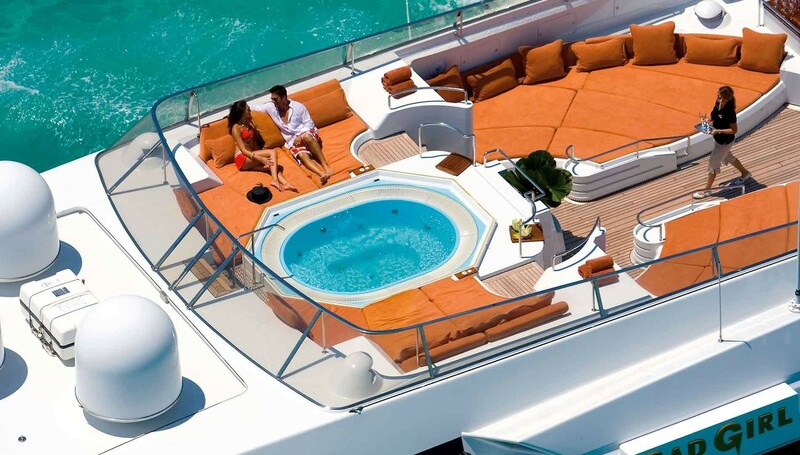 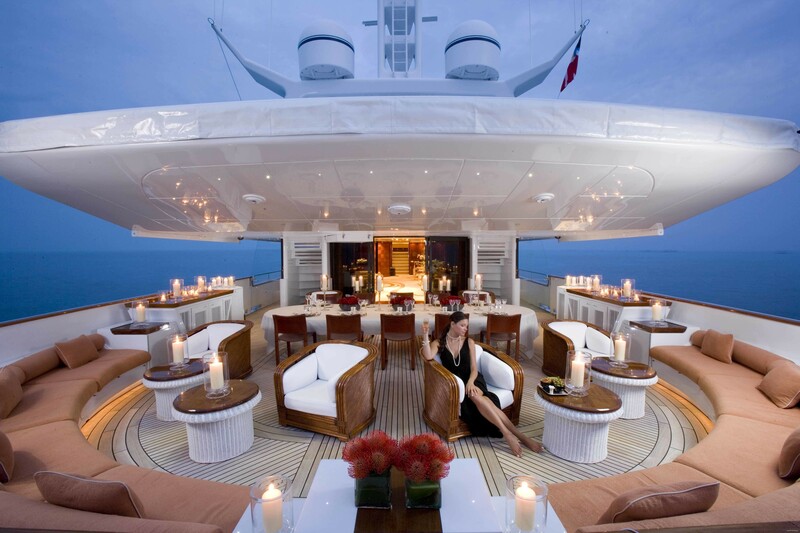 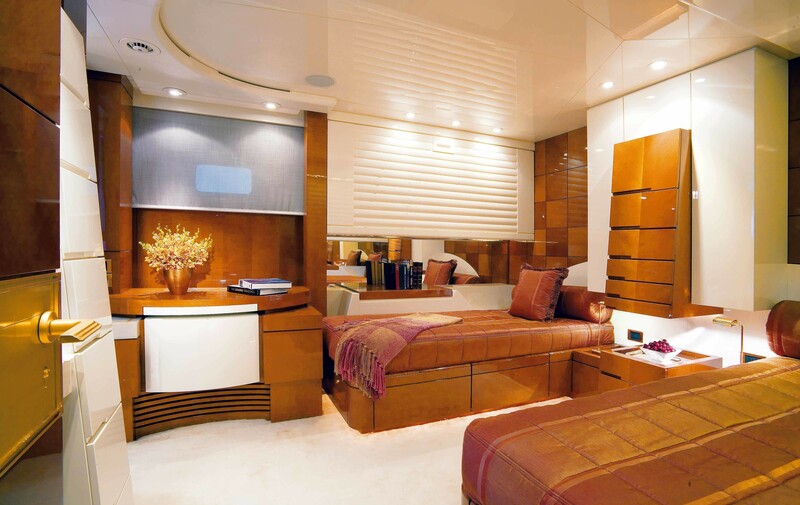 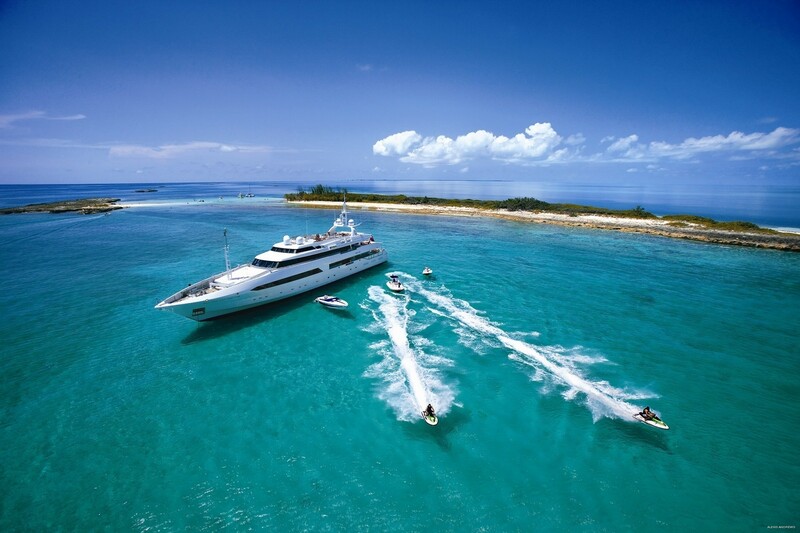 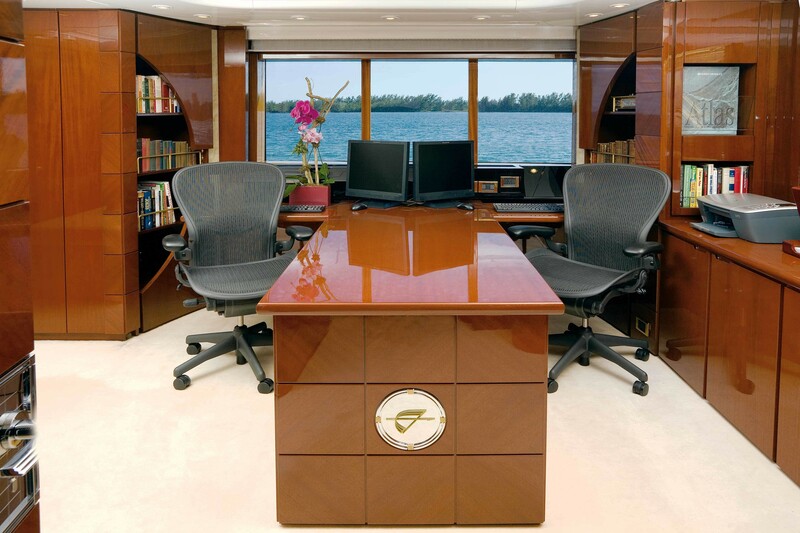 This entire area can also be partitioned off from the main body of the yacht in several different styles to provide increased or lesser levels of privacy and intimacy.